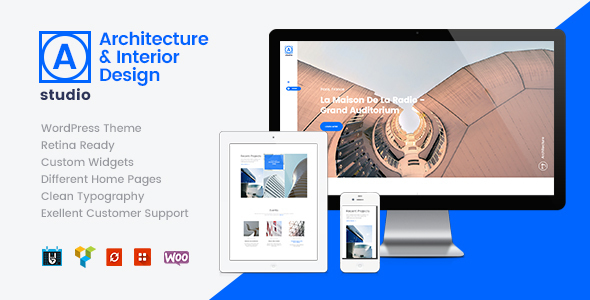 A.Studio is a totally responsive, clean and minimal WordPress theme well suited for interior design and architecture firms, construction bureaus, individual designer’s and architect’s portfolio, and bloggers who are into interior design, home renovation, and furniture manufacturing. A.Studio features two types of menu, classic and pop-up. The theme is optimized to work with such popular plugins, as Visual Composer, Slider Revolution, Essential Grid, Instagram Feed, Booked Appointments and more! Not only is the theme perfect to showcase your services and skills, it is great to build an online furniture store, due to WooCommerce’s latest version compatibility. Should you have any questions as to how to use A.Studio as your website, feel free to contact our helpful support operators. Also, the most crucial moments on theme setting and installation are covered in our online Documentation (links provided above).